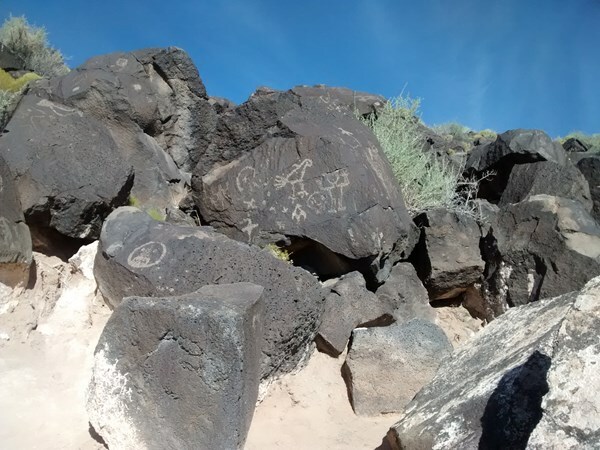 This description uses material from the Wikipedia article on Petroglyph National Monument and is licensed under the Creative Commons Attribution-ShareAlike License (view authors). 19 people want to do this. 4 people have done this. Went on a walk of the Piedras Marcadas Canyon Trail this morning with a walking meetup group. This is a different part of the Petroglyph National Monument that I had not seen before and there are very well done glyphs everywhere. Nice walk if you get a chance.